MILWAUKEE, WI. (Aug. 1, 2013) – Consider yourself warned. Labor Day weekend, the unofficial end to the summer season and the timing of the biggest bash of the summer, Harley's 110th celebration in Milwaukee, is just 30 days away. To help riders hit the road before fall and the arrival of the 110th bash, Harley-Davidson Financial Services is offering rates as low as 2.99 percent APR*. Labor Day weekend, the unofficial end to the summer season and the timing of the biggest bash of the summer, Harley's 110th celebration in Milwaukee, is just 30 days away. "While summer may feel like it's flying, riders can still visit their Harley-Davidson dealer to find their dream motorcycle and ride this season," said Dino Bernacchi, Harley-Davidson Director, Marketing Communications. "With low financing rates, riders can now put themselves on a new 2013 motorcycle in time to make our 110th Anniversary party over Labor Day weekend. It's going to be an epic weekend." The Harley-Davidson 2013 motorcycle line-up showcases more than 30 exciting models including the Breakout with distinctive finishes and long, low swagger; H-D1 Factory Customization options on the Street Bob and 1200 Custom; 10 serialized commemorative 110th Anniversary edition models; glistening Hard Candy Custom paint options and the Iron 883 starting at $7,999 or for about $5 a day*. For additional information on 2.99 percent APR*, visit a participating Harley-Davidson dealer. 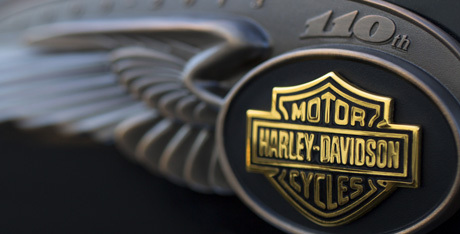 The Harley-Davidson 110th Anniversary is a year-long, global celebration connecting millions of Harley-Davidson fans united by a common bond and shared passion for freedom, self-expression and epic adventure. 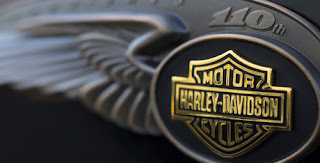 Included in the official 110th Anniversary calendar are 12 different 110th Anniversary experiences that Harley-Davidson will bring to existing motorcycle events in global markets through September 2013. The events span 11 countries on six continents and are capped by two main celebration events in Rome, Italy, in June 2013 and Milwaukee during Labor Day weekend. Photo's Classic Grand Prix Historisch Motorsport Evenement Barneveld 2013 now online! Over 500 Photo's of the Classic Grand Prix Historisch Motorsport Evenement Barneveld 2013 are now online! Check them out on our NEW website!